Mdf, mirror, two-way mirror film, ratchet straps, drafting film, amplifier, speakers, speaker fabric, audio cables, screws and a looped video of Logik Party and Thread Pulls rehearsing (SD, 4:3 with sound). 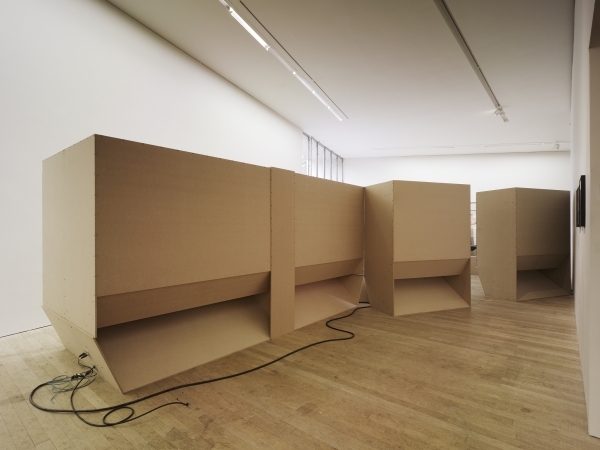 A number of blank mdf modules resembling speakers or bass-bins are arranged to create a central space, hexagonal in plan. 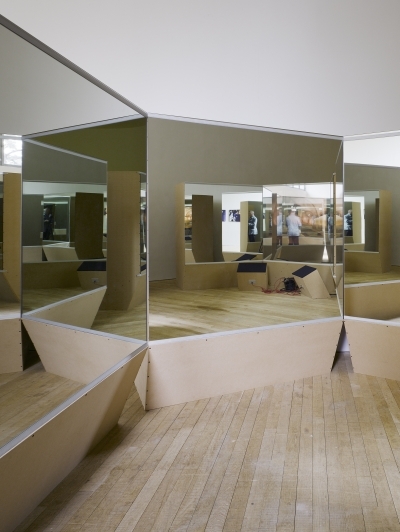 On entering through one of the three gaps which allow access to this space, the viewer is confronted with mirrored surfaces, which create a crystalline mise-en-abyme. 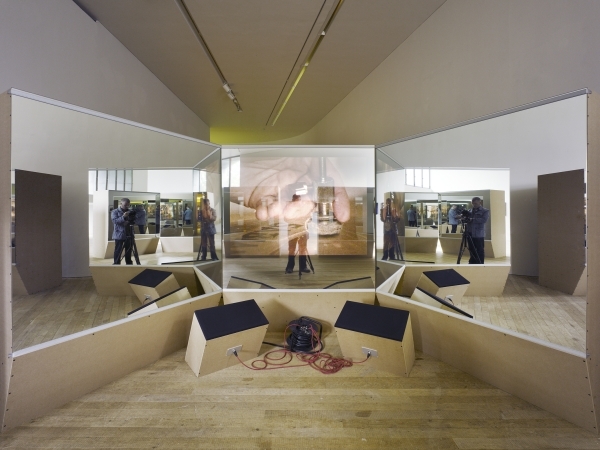 Periodically, the reflection on one of the mirrors is disrupted by a back-projection - details of musicians' hands coming into contact with their instruments. Commissioned for Mixtapes: Popular Music in Contemporary Art, The Lewis Glucksman Gallery, Cork, Ireland which ran from June to October 2010. Curated by Chris Clarke and Matt Packer. Thanks to Thread Pulls and Logik Party. Images courtesy Ros Kavanagh Photographer. Video by Mike Hannon.